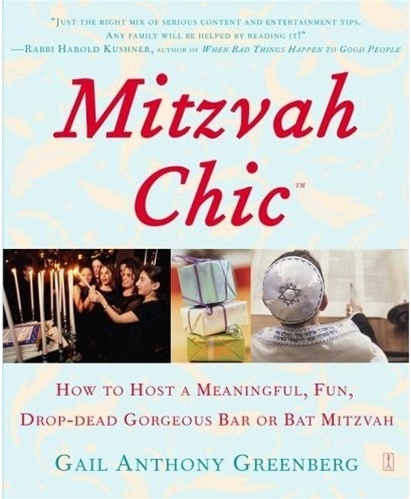 There's a new way of celebrating life's milestones and it debuts right here with a complete re-think of the bar and bat mitzvah. Milestones are sacred, deeply felt moments; times to be connected with friends, family and the wonder of the human adventure. Don't just decorate or adopt a theme - have a real experience. 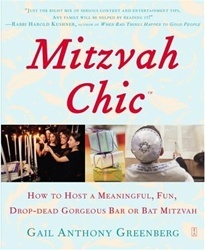 MitzvahChic is designed to take even beginners into the heart of the Torah to discover its universal and surprisingly modern treasures. And then use them to create a chic celebration that's moving to attend and impossible to forget. The book's a well of inspiration and a tactics guide. Take the journey and once you, too, have experienced the wonder, who knows where it will lead you…as a Jew and as a human being?